Ana Matthews was born in Croatia and given a lot of freedom as a kid which fostered her adventures to India, Spain, England, and Mexico later in life. She's had her mind on potty matters since 2011 when first daughter Caroline did not poop for twelve days as an infant. EC helped a great deal in resolving breastfeeding, constipation and sleep mysteries. Caroline was potty independent by 24m old. 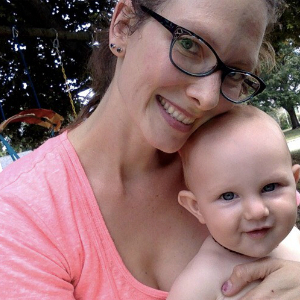 Clara, her second daughter started as a newborn and was joyfully diaper free at 15m old. Visit Ana's local Go Diaper Free Facebook Group here.